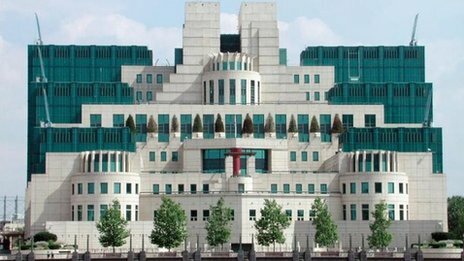 Iran says it has captured a spy working for British intelligence agency MI6 in the south-eastern city of Kerman. The head of Kerman’s revolutionary court said the alleged spy had admitted being in contact with four British intelligence officers 11 times, both inside and outside the country. He said the accused was now on trial and had confessed. The nationality of the alleged spy is not yet known. The UK Foreign Office said it did not comment on intelligence matters. Iran regularly claims to have captured spies working for foreign powers but in most cases the accused is released without charge months later. According to a report from Iran’s conservative news agency Tasnim, the alleged spy was arrested after 10 months of intelligence work and had once had a meeting with British agents in London. It quotes Dadkhoda Salari, the head of the Kerman court, as saying he is aged over 50, with an “academic education”. He is said to be fluent in English but does not hold an official post. The news comes as Iran and Britain take steps to try to re-establish diplomatic relations. Britain shut down its embassy in Tehran, the Iranian capital, in 2011 after it was stormed in a protest over British nuclear sanctions. Iran’s envoy to the UK this week made his first visit to London, during which he met officials at the Foreign Office. The visit followed a trip to Iran earlier this month by the UK’s new envoy to the country – the first by a British diplomat for two years. Non-resident charge d’affaires Ajay Sharma said he had “detailed and constructive discussions” about the UK’s relationship with Iran. He also visited the site of the British embassy in Tehran to assess the damage following the mob attack two years ago. Foreign Secretary William Hague has said relations between the two countries were improving on a “reciprocal basis”. Thawing relations between Tehran and the international community have also seen a temporary deal reached over its nuclear programme. Iran last month agreed to curb some of its nuclear activities in return for £4.3bn in sanctions relief, after days of talks in Geneva. The country agreed to give better access to inspectors and halt some of its work on uranium enrichment for a six-month period.